← Rio: new center of the universe? Who (or what) is doing the helping? Is this a good deed, work well done, or both? The pacification police are in 17 Rio favelas to keep them peaceful, to mediate conflict, and to help along the process of “social inclusion”. But will every member of the UPP (the Portuguese acronym for police pacification unit, the first of which was installed in the Dona Marta favela in December 2008 as part of the state’s occupy-and-pacify policy to increase public safety) force react to a crack addict the way corporal Frossard did? Did helping the addict take him away from other work, possibly more important? “I can’t speak for my colleagues,” he says. “But we are there to serve and protect, not only to keep the peace, but to help out. Last week a 22-year-old man came up to me and said he wanted to learn how to read,” he adds. “He was embarrassed to tell anyone else.” Frossard was surprised that the presidents of the favela’s neighborhood associations hadn’t yet helped the crack addict, since everyone in the community knew her. His training didn’t include outreach for drug rehab or literacy. But pacification police are increasingly learning and using mediation tactics and first aid– and delivering babies. Rio is changing, but the boundaries between individuals and entities– be they government agencies, businesses, or NGOs, are still fuzzy. The void of social, educational and physical needs that government failed to fill for five decades has been haphazardly occupied by all sorts of people and groups, formal and informal, including drug traffickers and paramilitary gangs. Now, roles are being sorted out. A sense of belonging is lacking, these researchers say; pacification police don’t feel identity, pride, commitment. They’re not even sure they’re here to stay. A full 70% of the 359 police interviewed late last year agreed with a statement that UPPs were created only to guarantee public safety for the World Cup and the Olympics. Feeling part of something bigger than one’s social circle isn’t very common in Brazil, where weak institutions and an aristocratic society have for centuries thrown people back on their (limited) networking capabilities. Social science research shows that many Brazilians don’t feel close to — or trust–many more people than their blood relatives and a close circle of friends. “One especially negative result [of this] is that the inefficacy of public institutions such as the judiciary and the police to contain transgression eats away at an intangible asset such as trust, weakening the capacity of families, communities and religious organizations to identify a range of acceptable behaviors. At the same time, the loss of social capital debilitates institutions, moving them further away from people and feeding on their feelings of insecurity and alienation,” write political scientists Amaury de Souza and Bolivar Lamounier in their new book, A Classe Média Brasileira: ambições, valores e projetos de sociedade (The Brazilian Middle Class: ambitions, values and goals for society). 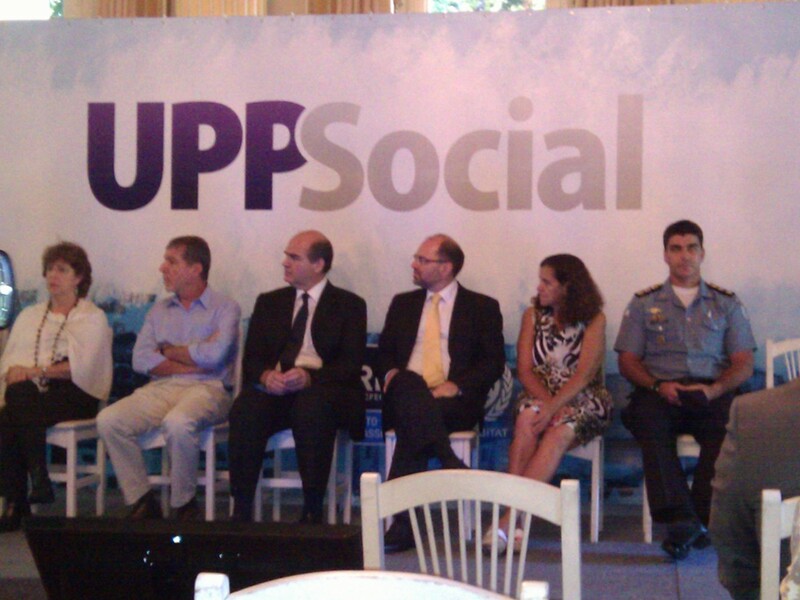 While Corporal Frossard was taking in the lush gardens of the City Palace, Social UPP coordinator Ricardo Henriques (who is also president of the Instituto Pereira Passos) was inside, presenting his work and announcing a new US$ 3 million equivalent partnership with the UN Habitat program. Giving examples of how the Social UPP works, he explained that once community needs are identified, they’re passed on to “Alex, or Osório, or Hans”. This was Henriques’ way of naming some of Rio’s municipal agencies. The latter two men are easy to identify. Carlos Roberto Osório is the municipal secretary of urban conservation and Hans Dohmann is the health secretary. 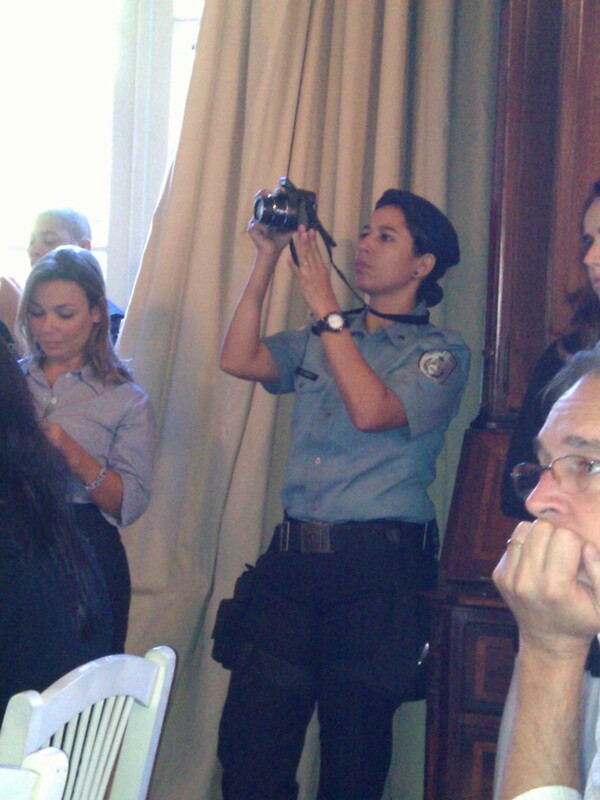 But there are several Alexandres among Rio’s 23 municipal secretaries. For the uninitiated (and we are many), the who’s who of the carioca government is a big challenge. Again, an overlap of the personal with the institutional; one wonders if all this good work will continue once “Alex” has moved onto another job. 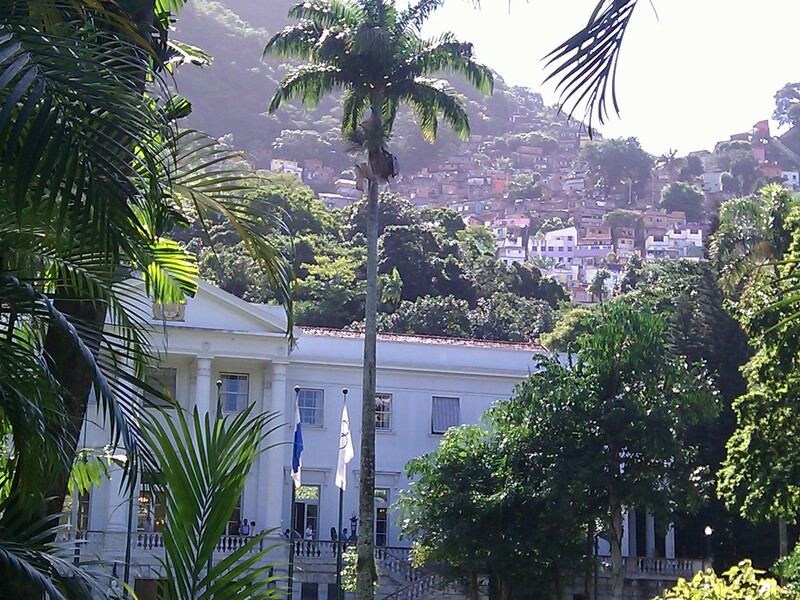 Rio de Janeiro is a place of leaps and lags, amid great transformation. CESeC’s survey findings will certainly be applied to the pacification police training process. And as institutions become more professional, responsible, transparent and accountable, people still need help from individual people. They always will. Know anyone who can help find a building for his NGO? Which is why the Move Rio association of young carioca professionals, got together last week with the Rio Eu Amo Eu Cuido (Rio I love it I take care of it) movement and invited a bunch of Facebook friends to hear the story of Tião, pictured above. Once a top drug trafficker in the Nova Holanda favela in the Maré complex of favelas, Tião stopped using and selling drugs “for my daughters”. Tião soon got the school organized and humming. One day a documentary producer, Renée Castello Branco, showed up, asking him to find ten young boys who worked for the drug traffic, who could be interviewed. “After the film was shot, Renée called with an offer of 600 reais a month to distribute among the boys so they could get out of that kind of work. But I told her that it would do no good, that what they really needed was a place to go, and activities to occupy them.” The producer introduced him to her friend Pedro Werneck, and in 2005 his NGO Instituto da Criança helped to create Vida Real, for kids from ages 12-18. “We began with 50 hand-picked teens,” says Tião. “By now, a thousand young people have passed through Vida Real. Six of these have died. None are in the drug traffic.” By way of 12 paid employees, the youngsters receive help with schoolwork, and can take courses in computer use, graffitti, silk-screening, design and handicrafts, among other subjects. Vida Real has a waiting list of 90. 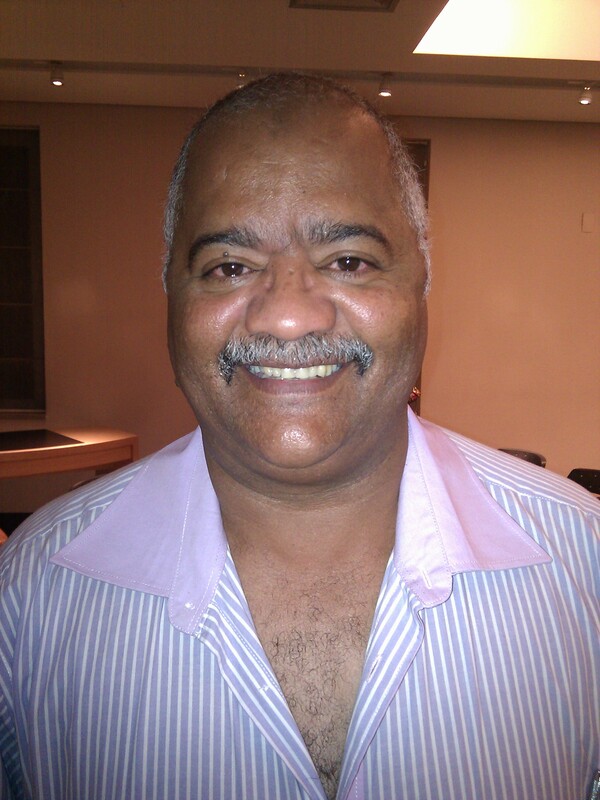 Tião’s work is considered so effective that FIRJAN, the Rio de Janeiro state industrial federation, has partnered with Vida Real to educate and train 60 teen prostitutes, male and female, and in the process get them off the streets. This entry was posted in Brazil, Transformation of Rio de Janeiro / Transformação do Rio de Janeiro and tagged 2016 Olympics, CESeC, Instituto da Criança, Move Rio, pacification police Rio de Janeiro, pacification Rio de Janeiro, public safety Rio de Janeiro, Ricardo Henriques, Rio de Janeiro transformation, Rio Eu Amo Eu Cuido, UN Habitat, UPP, UPP social, Vida Real. Bookmark the permalink. 4 Responses to Who (or what) is doing the helping? Excellent piece. It provides a unique insight into how a city is finding its way to a social justice system, which by its very nature is hard to institutionalize. Up to now it’s always been somebody else’s problem. Your voice will go a long way towards shedding light on an issue that never seems to go away. I take from this that grassroots efforts are helping make a difference in Brazil. I certainly noticed while living there that much depended on networking and there wasn’t a great deal of trust beyond close friends and relatives, but at the same time it’s a creative and vibrant society. It always annoyed me that when the topic of social problems came up the discussion always turned to how the government lacked willpower, but it didn’t seem to occur to anyone that “regular people” could do anything about the issues. Adam, most Brazilians think that politics are dirty and thus don’t want to engage in that arena. But this is changing. The Move Rio event I attended was organized by a group of privileged young people who have decided to get involved in the life of their city. I think this is happening more often nowadays, as people gain hope that Rio can actually change– that their actions will be worth the effort.